Today I am doing a collaboration post with The High School Prepster! We both have incredibly similar styles, so it's no surprise that we easily agreed on styling one of our favorite Vineyard Vines pieces. 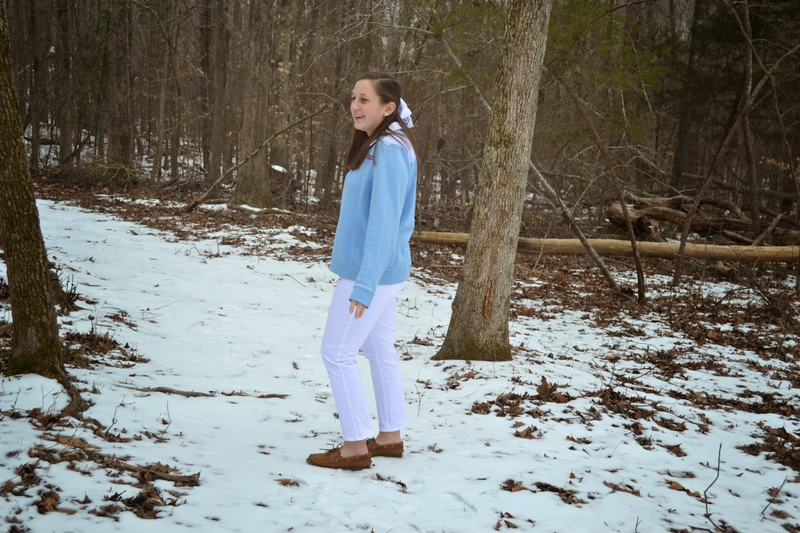 Be sure to head over to her blog to see how she styled her oh-so-cute Shep shirt as well! As I said earlier, Shep shirts are by far one of my favorite items sold by Vineyard Vines. They can so easily be dressed up or down and are a great weight for every season. They come in a variety of colors and shoulder designs, making them a very versatile closet staple. This gray one with navy shoulders is the perfect piece to throw on when I need an extra layer. I like to do a bit of pattern play and pair my gingham oxford underneath. My Lilly Pulitzer navy vest is perfect for an additional layer as it continues to be bitterly chilly here. How do you like to style your Vineyard Vines Shep shirts during the winter? I whaley can't wait for the next catalog to see the great new spring colors and designs.